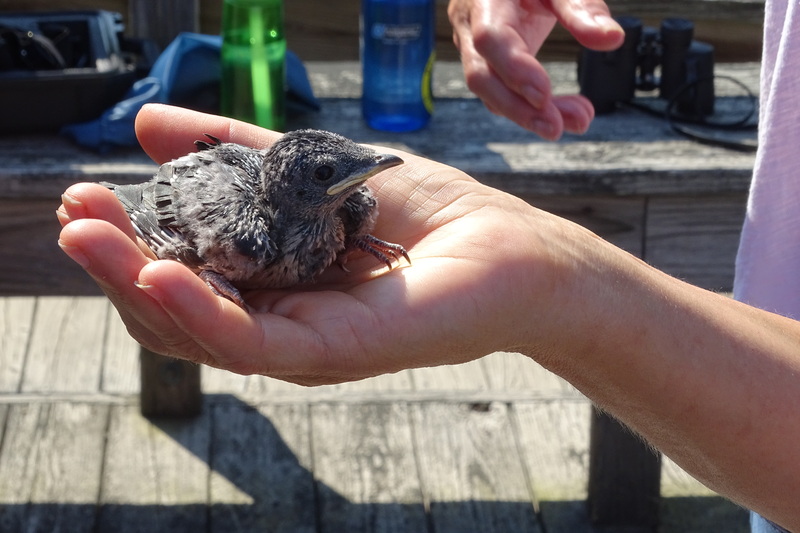 “If you care, leave it there” is usually the best thing you can do for a bird or animal that appears distressed but shows no visible sign of physical injury, like this Purple Martin photographed by Stephanie Galea/The Connecticut Audubon Society. An injured bird or animal, on the other hand, may need help. but ONLY from a properly licensed rehabilitator. Click here to find one or call the DEEP at 860-424-3333 for emergency assistance. Please do NOT bring any bird or animal to The Connecticut Audubon Center at Glastonbury; we are neither licensed, trained nor equipped to care for them. Leaving one on our doorstep when we are closed gives it a death sentence. Find additional information from the Humane Society here or the extensive CT Dept of Energy & Environmental Protection (DEEP) wildlife library here.